Finding it hard to find a decent pempek in Jakarta? Give it a good start from Pempek Abing, nearby from wherever you are. Love is all that you feel whenever you see pempek. It comes simple, packed with flavors, and suitable anytime of the day. At times you might encounter the generic version of pempek around the neighborhood, sold by traveling vendors for a thousand rupiahs a piece. It might be cheap but it doesn’t come from real fish as pempek should be. Usually, the cheapo type uses more tapioca flour with a little bit of fish to make it smell real, but the texture and the taste will not be the same. Better, or should we say – real version of pempek that involves suitable fish from tenggiri (wahoo) to the exquisite belida are usually sold from home businesses and in real restaurants, especially back in Palembang – the city where all the legend began. In Jakarta, we found one of our favorites nearby the city center at Jalan Casablanca. However, there’s no need to go far for good pempek with reasonable price at Pempek Abing. Although it has seen better days back when Jalan Casablanca was still reasonably congested and with greenery around it, but the past few years events transformed the street into a chaotic state where people would rather pass it by quickly and not stopping unless for malls. But that was never the case for Pempek Abing with its loyal fans. 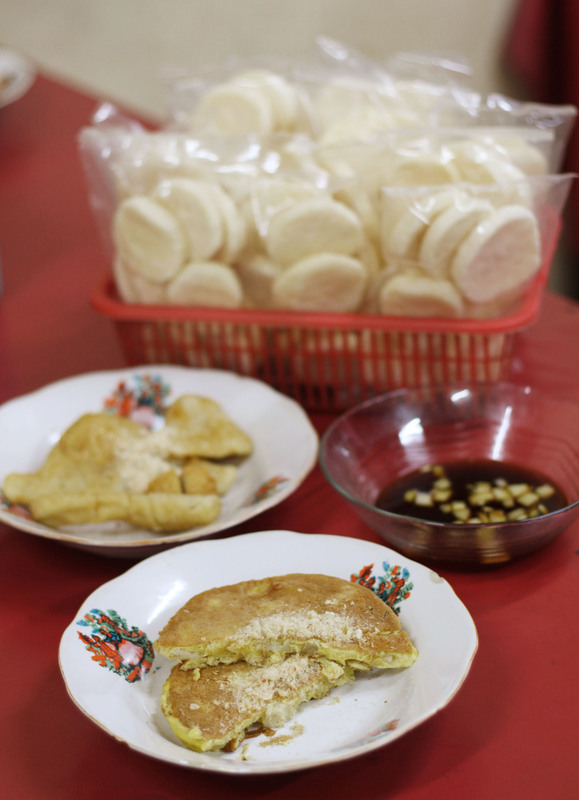 Most interestingly, Pempek Abing has a good amount of pempek varieties. Aside from the usual kapal selam or adaan type – which we are more than happy to create a glossary about the types for you dear readers, it also has tekwan, bulat, and even the ones with tofu as well. 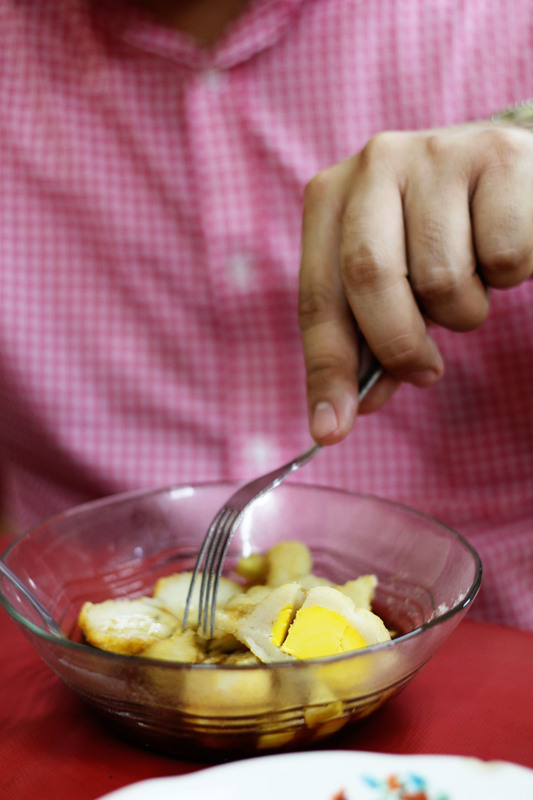 Looks may be deceiving but pempek is actually considered a delicacy. Imagine having the good deep-fried fish cake with spicy kuah cuko (lit. vinegar soup) and with refreshing diced cucumbers and dried shrimp powder on it. Something that you may take lightly from presentation can become so rich and intense with flavors. For these, Pempek Abing is more than just a good start.